For the average homeowner, trying to clean a drain comes down to two basic tools: the standard sink plunger, and the bottle of liquid drain cleaner. 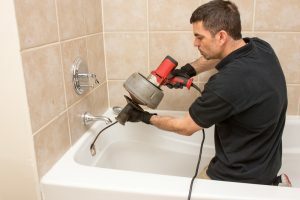 Plungers can work well at handling simple drain clogs, and you should always have one somewhere in your house as the first resort when encountering a slow drain or complete clog. Liquid drain cleaner, on the other hand, is something that no plumber would recommend. These bottles of caustic chemicals will not only cause damage to your drains, but they leave behind toxic fumes and add poison to landfills. If a plunger won’t take care of the problem, call for professional plumbers. Drain snakes (a.k.a. drain augers) are basic plumbing tools that are among the most effective ways to clear out drains. A drain snake consists of coiled, flexible wires that can work down through a drainpipe until they contact the blockage. A motor then turns the coils and drives them down into the clog, similar to the action of a corkscrew. The plumber can then draw the clog out or break it up with the end of the drain snake. 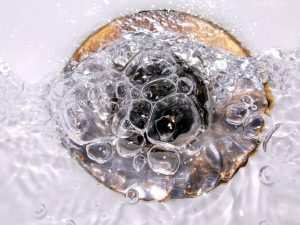 The most thorough method of cleaning drains is to use high-pressure hot water blasted from a hydro-jetter. The strong water blasts will not only break through clogs, but also remove all kinds of debris from the interior walls of the pipe, completely cleansing the drainpipe of obstructions and helping to keep them from returning. Because of the potential danger from high-pressure water jets, only trained professionals wearing special safety equipment should handle hydro-jetters. Knowledge is often the best tool against dirty and clogged drains, and video camera inspections are an excellent way for plumbers to gain that knowledge. These cameras mounted on the end of long fiber-optic cables can snake all the way down through drain pipes and send images back to monitors to show plumbers the exact location and nature of clogs. Video inspections cut down the amount of time and labor that goes into cleaning drains. They are also invaluable when it comes to many other plumbing repairs. All of this equipment is too expensive and complicated for consumers to use. 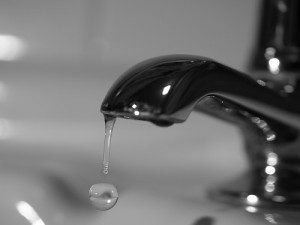 Instead, rely on trained and licensed plumbers when you need drain cleaning in Bergenfield, NJ. Make your first call to the team at BZ Dependable Plumbing & Heating, Inc., where we provide a variety of plumbing services throughout Bergen County and the surrounding areas.